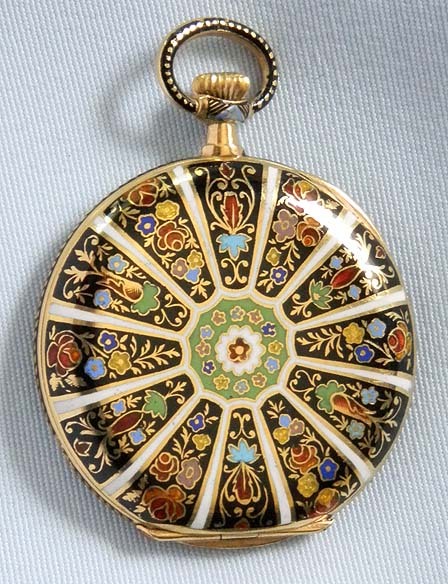 Fine and lovely Longines Swiss 18K gold and champleve enamel ladies antique pendant watch circa 1900. 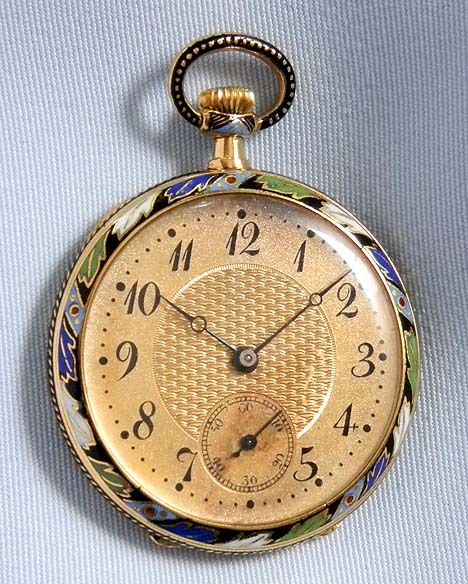 This watch is in the style of watches circa 1830. Lovely enamel design. Gold engine turned dial with black markings and blued steel hands. 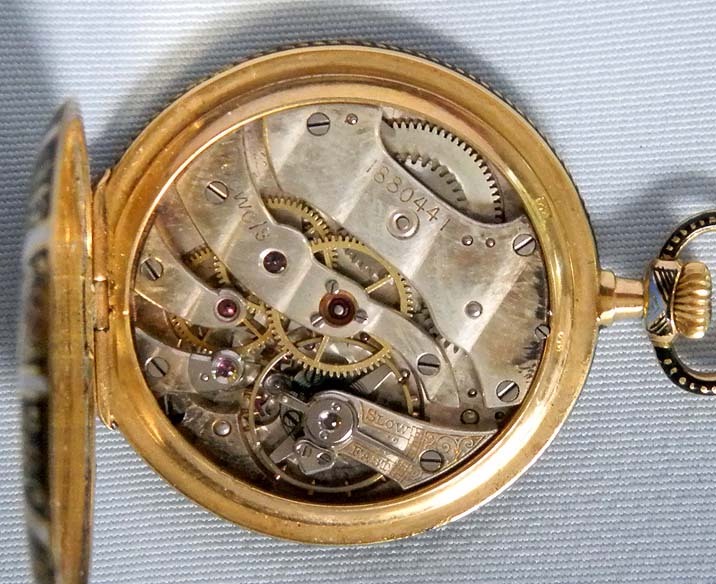 Nickel 17 jewel movement signed "Longines" under the dial.